As the grand old dame of heritage hotels in Singapore, Raffles Hotel has been the witness of much of Singapore’s history and has stood as the iconic background to many a photograph (including our own). Its colonial style architecture and cream-coloured facade are as Singaporean as the Merlion or char kway teow. Founded 129 years ago by the Armenian Sarkies brothers, the hotel has withstood two World Wars, Singapore’s independence and rapid rise to a modern city. 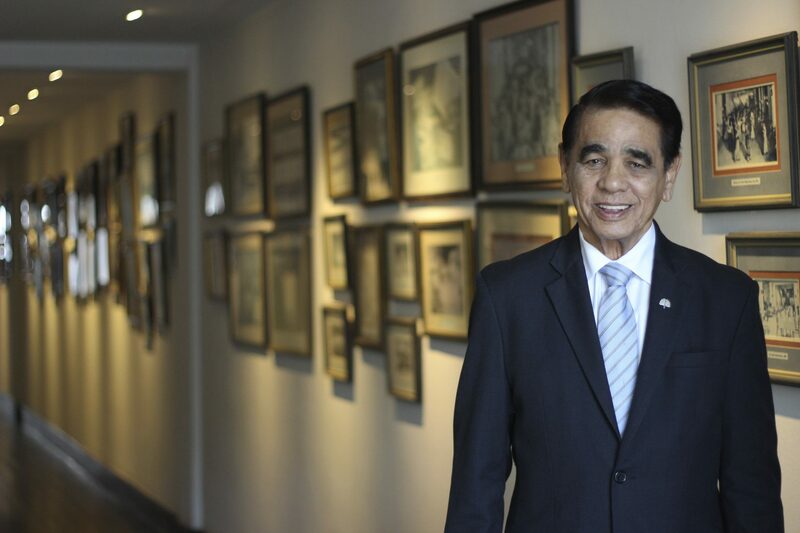 And since 1972, Leslie Danker, the hotel’s longest-serving employee, has been there to witness the various changes to both the hotel and country. 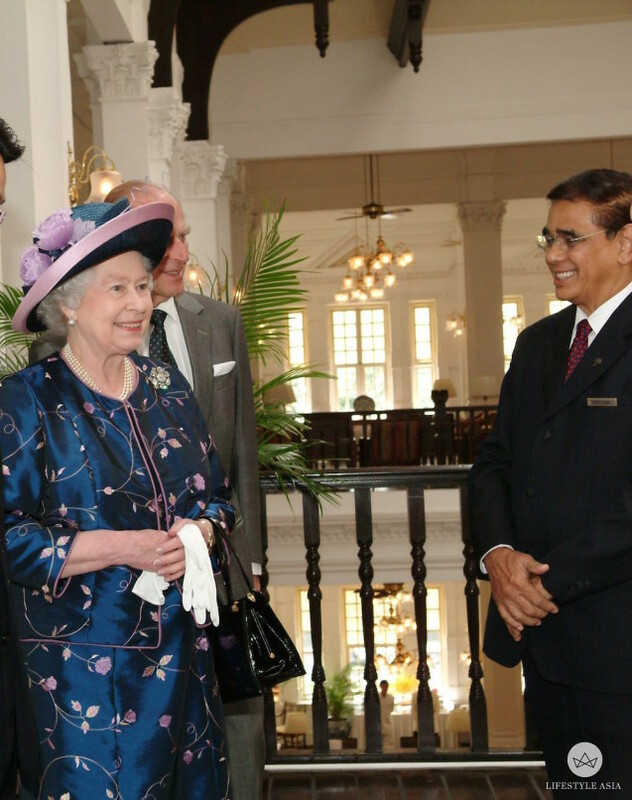 Raffles Hotel Singapore’s resident historian Leslie Danker is its longest-serving employee. Few can say they know the hotel’s story as well as Danker does. Sprightly and looking younger than his 77 years of age, Danker rattles off facts and figures about the hotel with ease, a walking encyclopaedia for the hotel. Today he conducts heritage tours for guests, and was recently the face of The Raffles Stories, a 12-video series chronicling the hotel’s history. 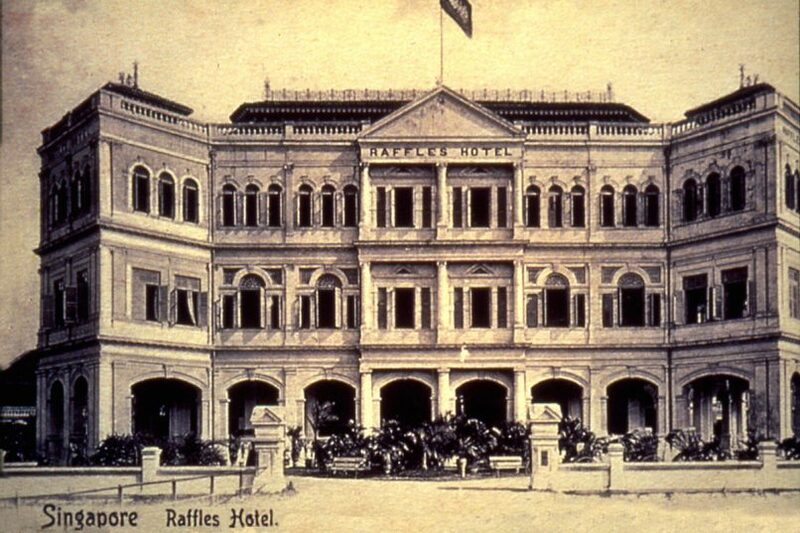 The old façade of the Raffles Hotel Singapore. Even customer service was different in this pre-Internet era. Danker recalls staff having to manually record guest details in a much more tedious process. “When guests checked in, we’d take their registration cards to the back of the office and enter the information into one book for the operators, one for finance and another for the front desk,” he says. 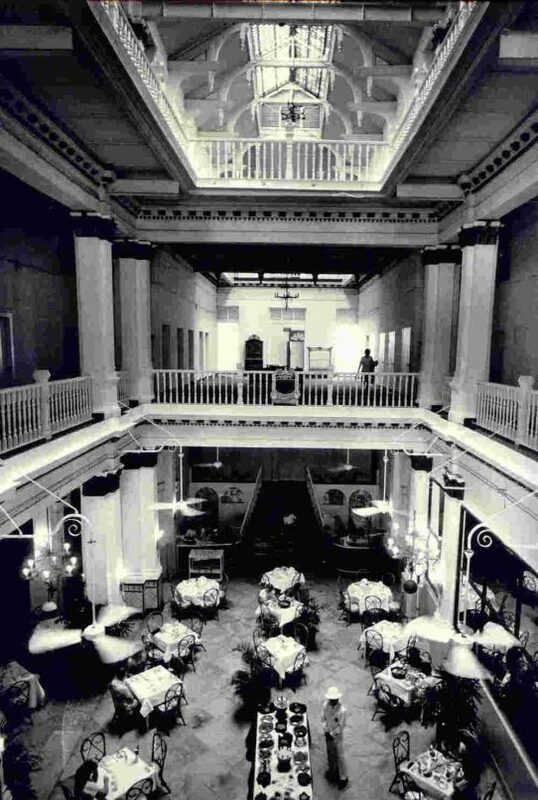 Back in its early days, the hotel’s elegant lobby featured high ceilings and glass tiles. 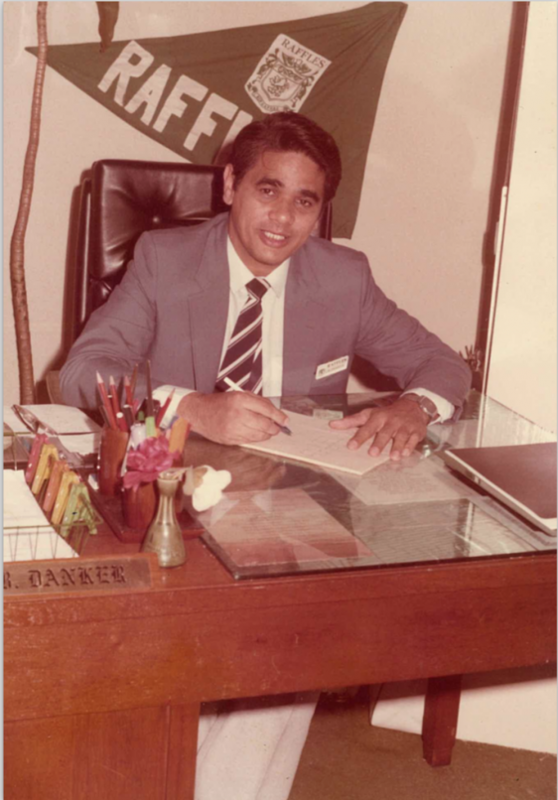 As the hotel’s longest-serving employee, Danker knows some interesting facts about the hotel. For example, in its previous incarnation, Bar & Billiard Room made headlines in 1902 when a tiger who escaped from a nearby circus was fatally shot by former Raffles Institution principal Charles McGowan Philips. 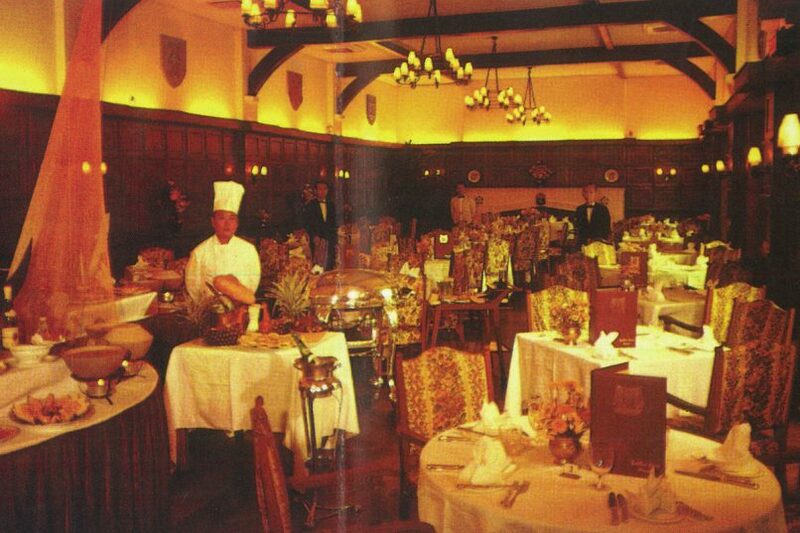 Even today, the same silver wagon remains in Raffles Grill. Danker has worn many hats in his time at the hotel, moving from supervising the maintenance division to overseeing the F&B department and later being appointed the Guest Relations manager. Naturally this has led to some interesting guest interactions. 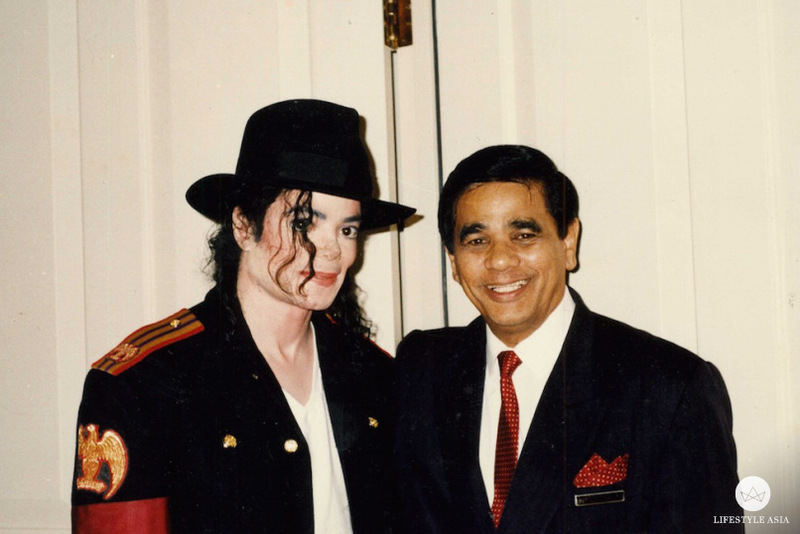 Danker with the late King of Pop. Other luminaries that Danker has met include actor John Wayne (“nice and humble”), author James A. Michener, Hong Kong action star Jackie Chan and her majesty herself, Queen Elizabeth II. Danker became the hotel’s resident historian in 2010 after the management noticed his enthusiasm for sharing stories with the hotel’s guests. In many ways, it felt like a natural progression, as Danker had been compiling information on the hotel’s background since it underwent a major restoration in 1989. The same year he assumed the role of historian, Danker published a book titled Memoirs of a Raffles Original, detailing his experiences. “[During the restoration] I collected all the media reports which detailed the history of each hotel wing and how it would be changed. Another thing I did was carry a black notebook when I went around with the interior designers and architects.” Even now, Danker carries around his black notebook, as a reference (and sentimental reasons).